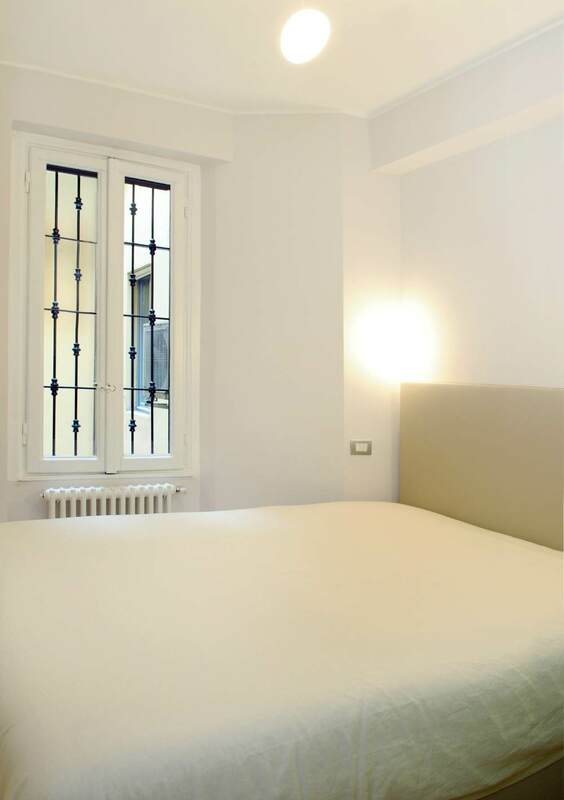 Portfolio Categories: Brera and One room- up to 3 people. 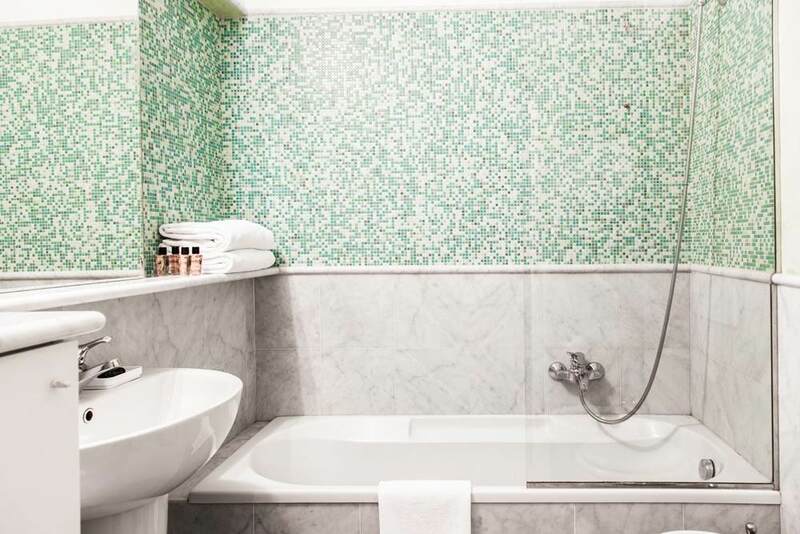 Broletto 26 Apartment is located in the heart of Milan, a few steps from Duomo, an area known for its landmark buildings, its monuments and its memorable and exclusive stores where you will experience Milan’s charm to its fullest. 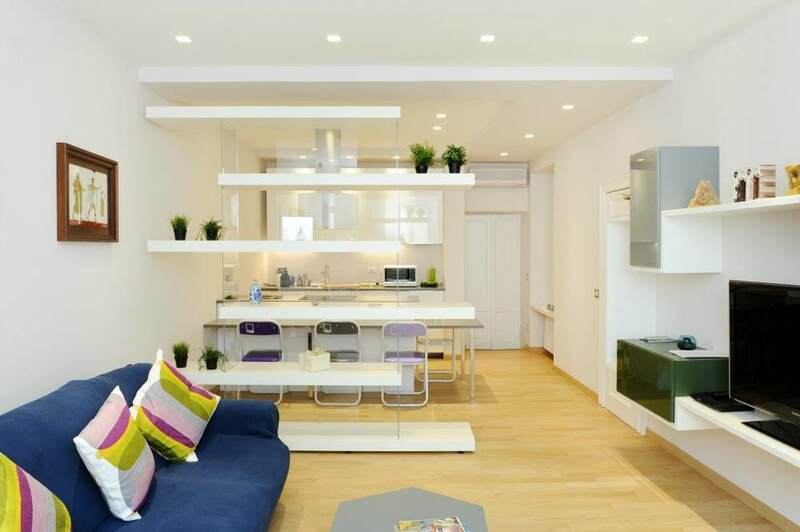 The apartment consists of one bedroom with double bed, living room with sofa bed, kitchen and bathroom with bathtub. 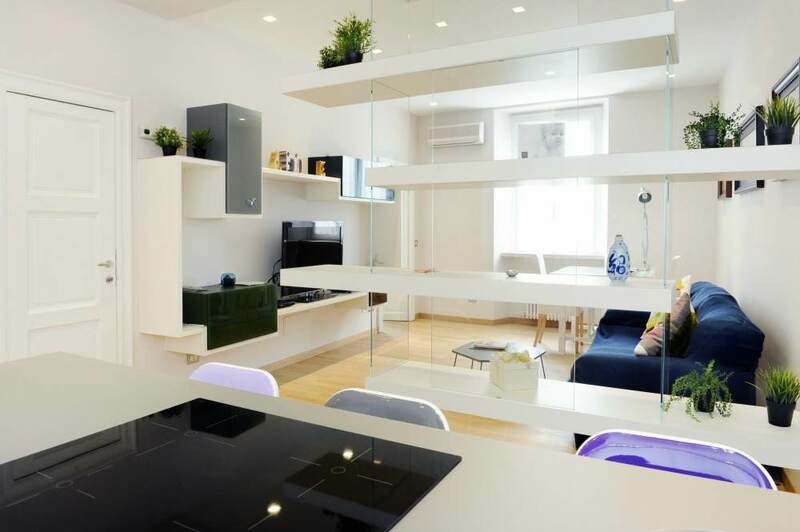 Apartment size: 55 m² | Sleeps: 3 adults | Bedrooms: one 160-cm. wide queen size bed (bedroom) and 1 sofa bed (living room). 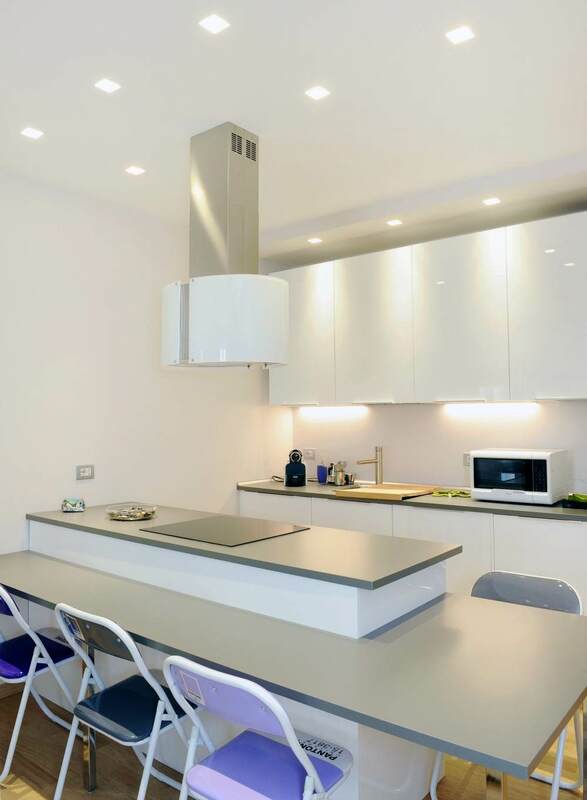 | Kitchen open kitchen with electric stove. 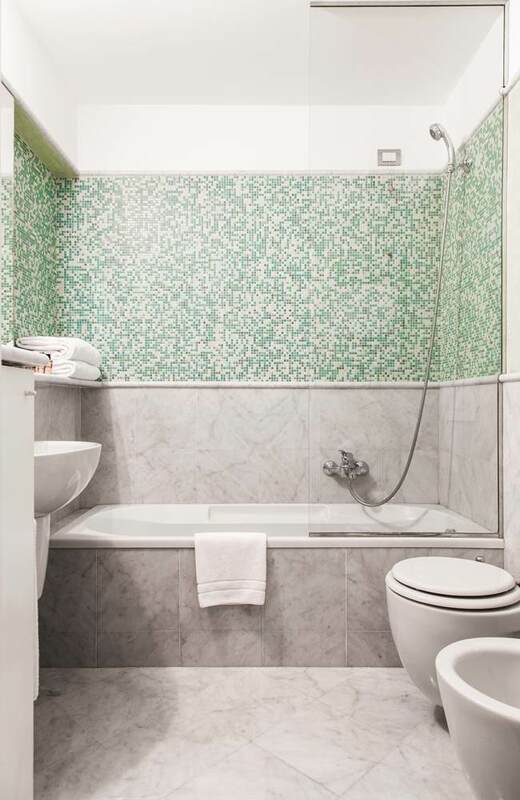 The apartment is conveniently located approximately 2.6 km from Milan Central Station: 7 minutes by car/taxi or take the subway MM3 Yellow line to the “Duomo” station, switch to the subway MM1 Red line and get off at “Cordusio”. The apartment is 8.2 km from Milan Linate airport, a 15-minute taxi ride. Public transportation from Linate is also available via bus Line 73 from the airport to San Babila. From San Babila take the subway MM1 Red line and get off at “Cordusio” station. The apartment is 45 km from Milan Malpensa airport, a 40-minute taxi ride. From Malpensa you can also reach Milan by train, using the “Malpensa Express” line, departing every 30 minutes. The train will take you to the Milan Cadorna subway station (MM) from which you can take the MM1 Red line and get off at the “Cordusio” station. The apartment is just 200 mt. from the “Cordusio” subway station on the MM1 Red line, which provides easy access to Milan city center and all major attractions.